Realistic Siberian Husky porcelain figurine. 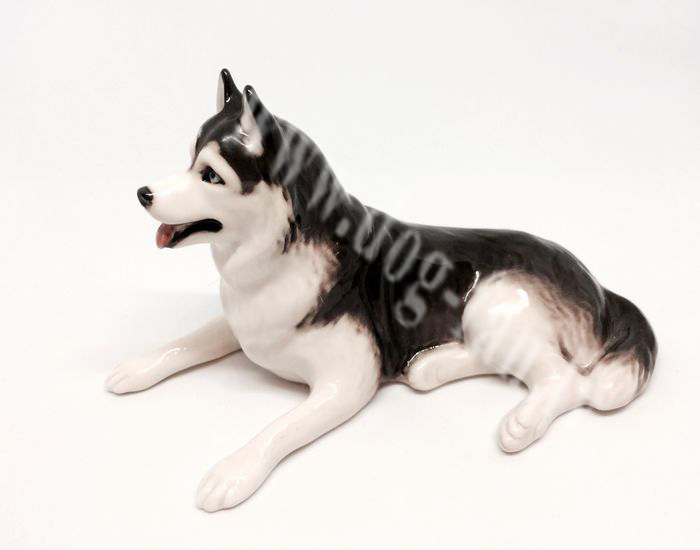 This dog figurine will melt any Husky lovers heart! Approx. size: 17 cm long, 9 cm high. Each figurine is hand painted, so it can differ from the one, shown in the picture.